Erica-Lynn Huberty concocts drinks infused with forage from her back yard. Erica-Lynn Huberty harvests bark for cocktails and cold remedies. 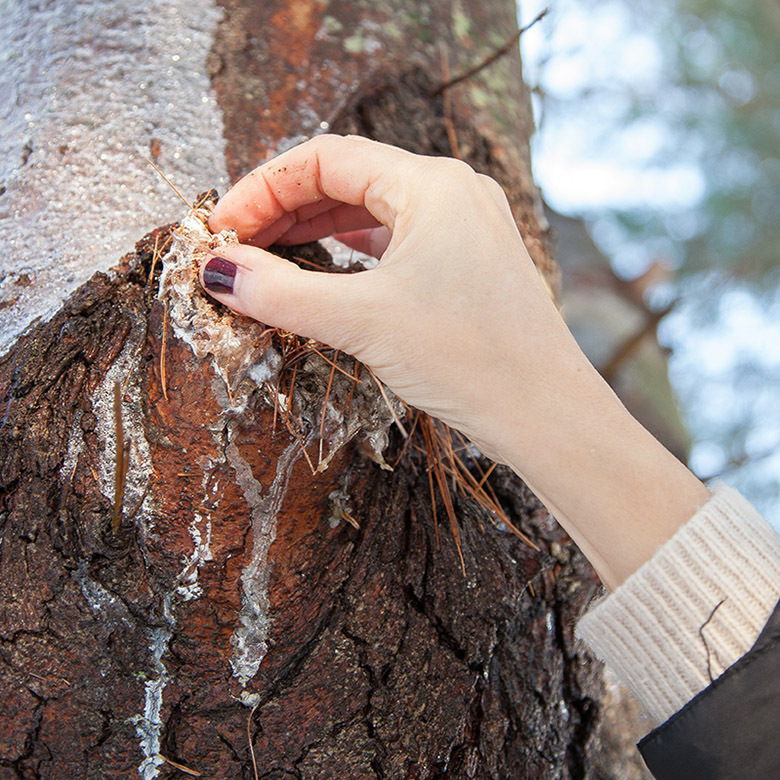 In our Holiday 2015 issue writer Erica-Lynn Huberty tells the tale of gathering sap from white pines to make a soothing tea. 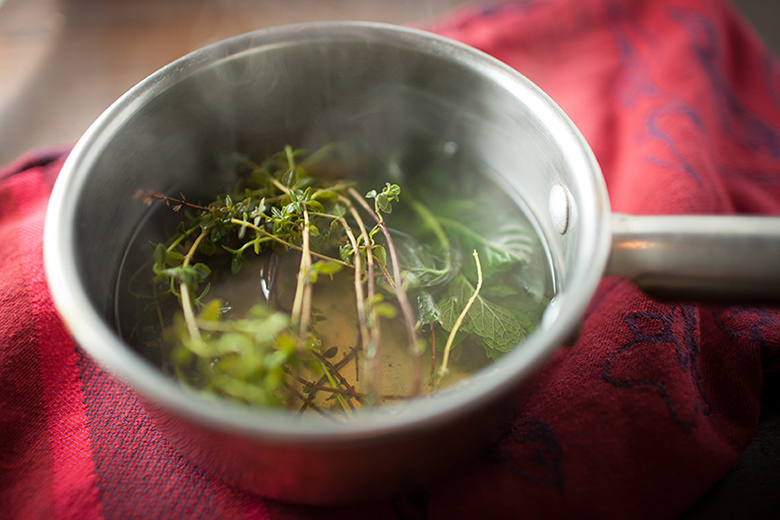 She also uses botanicals she collects in the warmer months to make warmers she drinks all winter long. Here are some of her recipes. In all of these alcohol is optional. Cheers! Bring all contents to a slow simmer for 15 minutes. Let cool, and strain. Bottle and refrigerate up to 2 weeks. 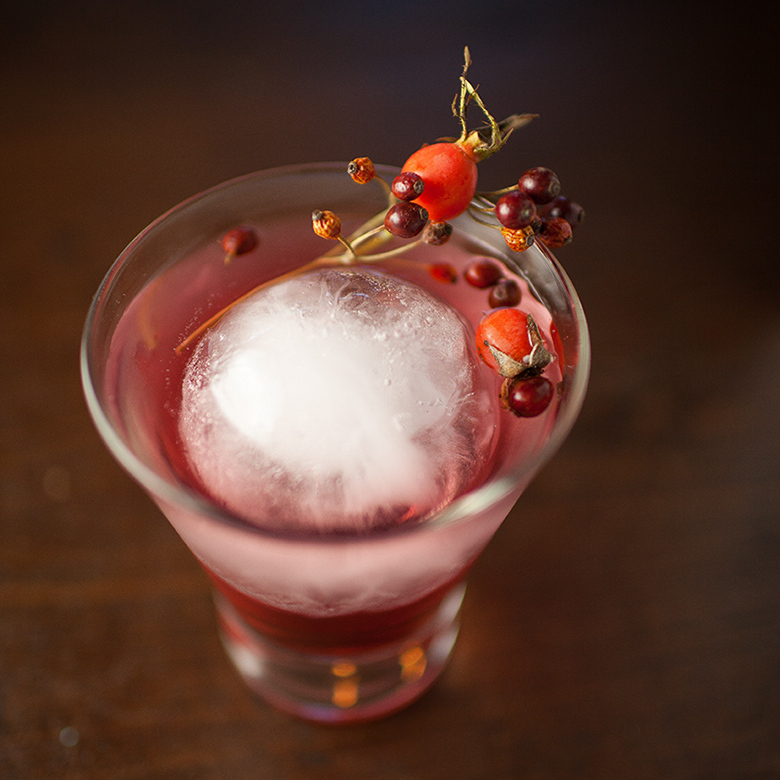 For a cocktail, combine 2 ounces of shrub with 2 ounces of Deepwells Botanical Gin. 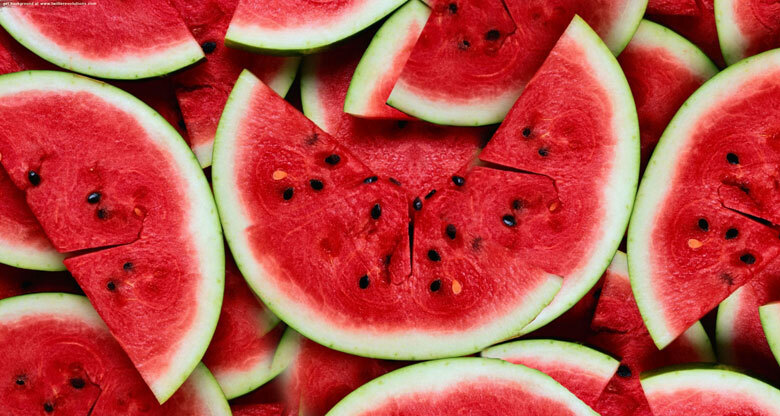 You can add a splash of soda, serve on the rocks or straight-up. 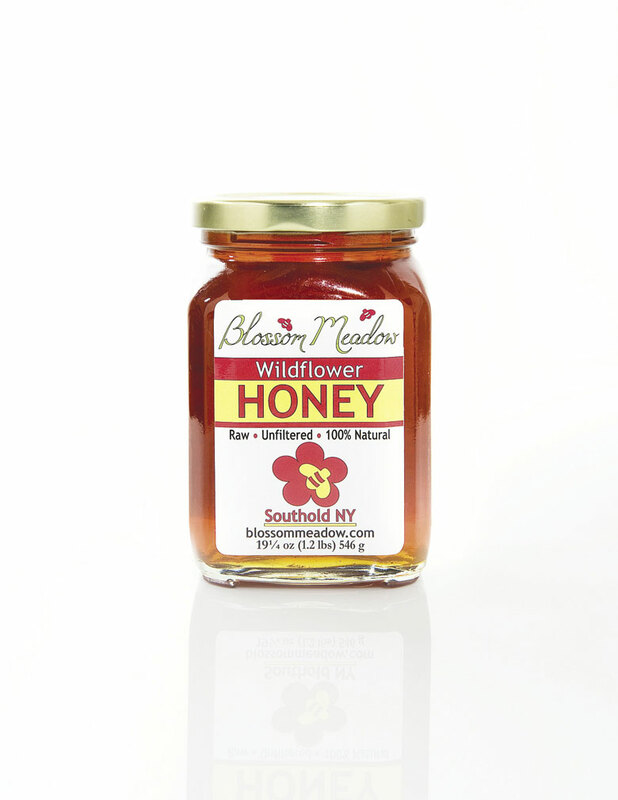 1 tablespoon of Bee’s Needs raw honey (I love the linden blend, but playing with the crop of honey will yield different flavors). Heat all the ingredients. 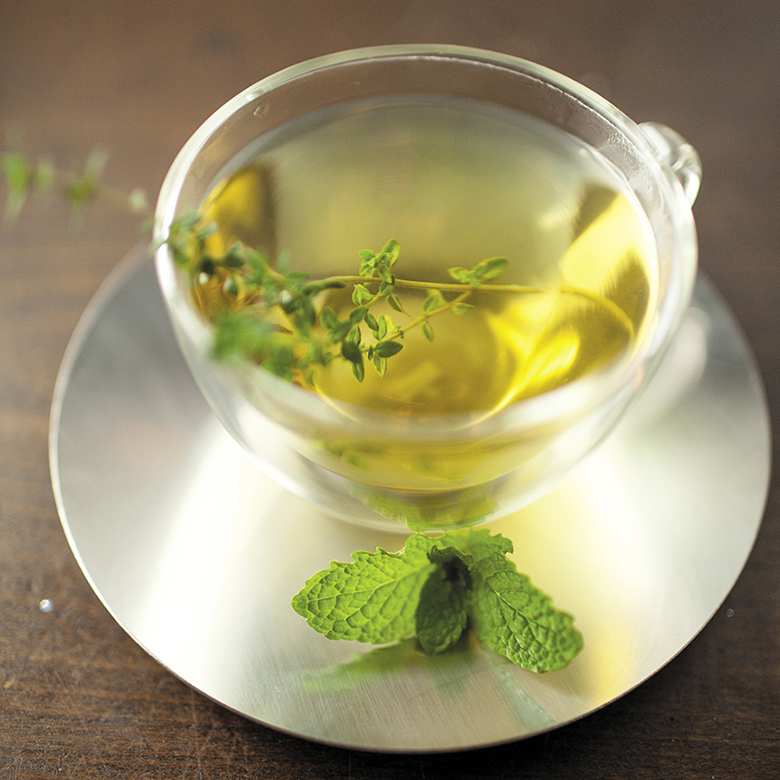 Put a cinnamon stick into a heat-safe glass and pour the heated pine-rum mixture over it. 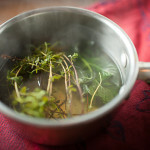 Combine thyme and water in pot, simmering with lid half-on to let steam out, until liquid is reduced by half. Strain and add honey to liquid. Store refrigerated for up to 4 weeks. 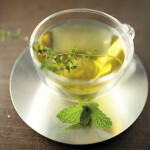 To make tea as needed, mix ¼ cup of liquid with hot water, adding mint or lemon to taste. Cut 4 to 5 large slices of fresh ginger and place in saucepan with water. Bring to low boil, then simmer for 20 minutes. Squeeze juice of half a lemon into water. Pour ginger mixture into a mug or heat-resistant glass, add 1 tablespoon of honey and 1 shot of whiskey and 1 cinnamon stick. Leave remaining ginger liquid in pot on stove and heat later for additional cups or refrigerate.